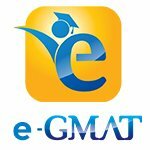 Last night I took my first Gmat mock in mba official page. I wasn't expected a high score because it's been a while since I studied for a test. My score was just 320: 12 Quantitative, 19 Verbal and 4 Integrated. 1) I have just answered most of the questions too fast and sometimes, I don't understand the main clause of the questions. 2) I have made the operations without verifying. 7 questions I have just answered without reading anything! 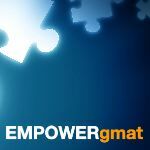 of study for each GMAT component? Hey buddy, not to worry as you will slowly improve with time. Keep giving one mock per month to keep a tab on your improvement. I would suggest to give the GMAT official mocks only when ur close to the actual test date, lets say in oct-nov when you are hopefully in 600-650 range. Welcome to GMATCLUB. You should study for around 3-4 months to achieve your score. You should start by taking a GMAT Mock once. You can then now know your weaknesses and can work on them. If you are willing to study dedicatedly for that period, you are sure to achieve your goal. I think you need to solidify you base and adopt a proper technique to answer the questions. I believe you may benefit from taking a GMATPREP course. If you are willing, there are some great GMAT prep companies that can help you with your preparation. Investing in an online course will help you master the concepts and keep the schedule organized efficiently. Egmat and TTP are great options for verbal and quants respectively. Many Test Takers are unhappy with their initial practice scores, but you really shouldn't be. That 320 is just a measure of your skills right now - and you'll improve on that result over time as you learn more about the content, Tactics and little 'secrets' of the Exam. That having been said, raising a 320 to the point that you can consistently score 600+ will likely require at least another 3 months of consistent, guided study - and you'll have to make significant improvements to how you handle BOTH the Quant and Verbal sections. Thankfully, the GMAT is a consistent, predictable Exam, so you CAN train to score at a higher level. With a planned Test Date in December, you have given yourself plenty of time to study - which is good. You might find it helpful to invest in a GMAT Course of some type (either Guided Self-Study or instructor-led). 1) How type of study routine have you been following? How many hours have you been studying each week? 2) What study materials do you currently have access to? Due to my job, I don't have as time as wanted. But I tried to study 1 hour per day. I have a lot of pdf guides. My idea is to print some of them: I prefered the "old-paper style". Also, I've benn using a lot of apps and podcast related to Gmat. On april next year throught MEXT Scholarship. Tokyo, Kyoto, Osaka or Hitotsubashi universities. It's my dream to study in Japan! 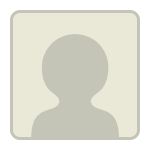 I appreaciate your time for visit my post. It's time to become a GMAT assassin! I’m glad you reached out, and I’m happy to help. The good news is that you completed the first step by taking a practice exam to get a baseline score. That said, since you scored 320, it’s clear that you need to approach your prep from the ground up so you can individually learn each GMAT quant and verbal topic, starting with the foundations and progressing to more advanced concepts. Additionally, you should refrain from taking any further practice exams until you’ve completed the “learning phase” of your GMAT studying. Assuming that you are following the study plan mentioned above, you’ll be able to track your progress as you practice questions from each topic. With that said, here is some detailed advice you can follow to improve your GMAT quant and verbal skills. Follow a similar routine for verbal. For example, let’s say you start by learning about Critical Reasoning. Your first goal is to fully master the individual Critical Reasoning topics: Strengthen the Argument, Weaken the Argument, Resolve the Paradox, etc. As you learn about each question type, do focused practice so that you can track your skill in answering each type. If, for example, you get a weakening question wrong, ask yourself why. Did you make a careless mistake? Did you not recognize the specific question type? Were you doing too much analysis in your head? Did you skip over a keyword in an answer choice? You must thoroughly analyze your mistakes and seek to turn weaknesses into strengths by focusing on the question types you dread seeing and the questions you take a long time to answer correctly. You also may find it helpful to read the following articles about the phases of preparing for the GMAT and developing the proper mindset for GMAT success. Many Test Takers who use a 'book heavy' study approach end up getting 'stuck' at a particular score level. From what you describe, you are planning on a book heavy approach, so you'll likely end up needing to invest in some non-book resources at some point. Since you've already acquired some practice materials though, you can get started with those. The OG books are great sources for practice questions, but they're not designed to teach you Tactics, patterns or the little 'secrets' behind the GMAT - for those, you'll need Course-oriented materials. To that end, you should work on the OG a little later on in your studies. From what you describe, you have limited study time available. If you're studying for just 1 hour a day, then there might be a limit to how much you can improve (and your overall study time will probably be a lot longer than you might anticipate). Can you increase your study time to consistently put in about 15 hours a week? I suggest that you study as you see fit for the next 2-3 weeks, then take a new FULL LENGTH CAT (with the Essay and IR sections). That score result will give us a better idea of how well you're improving and what changes might be necessary. I understand you have just started your preparation. Achieving a 600-650 is very much possible by giving your studies a proper structure. But, 600-650 is quite broad a range. It is better to aim for a 650 so that you can align the targets in each section and sub-section accordingly and study in a focussed manner. It is fine if you have been out of touch with quant or verbal for some time now. GMAT Verbal is not all about grammar rules. Similarly, GMAT Quant is not all about formula and tricks. It will test you on a few core skills and logical thinking ability. The first important step is to plan well so that the execution is smooth and effective. It is good that you know your precise starting levels. You can refine the plan using your inputs. You can edit the sequence of study, study hours, off days etc. as per your requirement. Planning is only half the work done. You need to stick to the plan and execute it diligently. I am sharing some of the free resources to get you started with preparation. You can get access to a lot more of these videos and practice questions once you sign up for the Free Trial. Track your improvement in each sub-section through sub-section quizzes. The ability quizzes in Scholaranium can help you do so and give a detailed analysis of your performance. Mock tests are to be taken towards the end of your preparation after you have learned all the concepts and processes. Learn more about when to take mock tests and how to make the best use of them. If you want to discuss the preparation strategy further, feel free to reach out to us at suport@e-gmat.com or PM me, referencing this post.